Closed, unitized, labyrinth seal designs. Glue material formulations to meet different requirements of large torque and small volume. Suitable for arc worm gearbox, planetary gear, helical gearbox and infinitive variable gearbox. It efficiently seals high-power gearbox as well as micro gearbox on 10,000-ton ships. Zhejiang Shangyu Oil Seal Co.,Ltd is a leading China gearbox oil seal manufacturer and supplier, our gearbox oil seal factory can provide customoers cheap gearbox oil seal products. 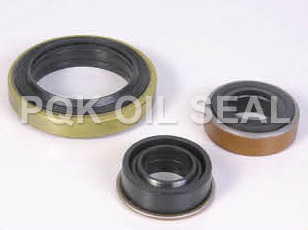 Welcome to buy discount gearbox oil seal or wholesale products from us.